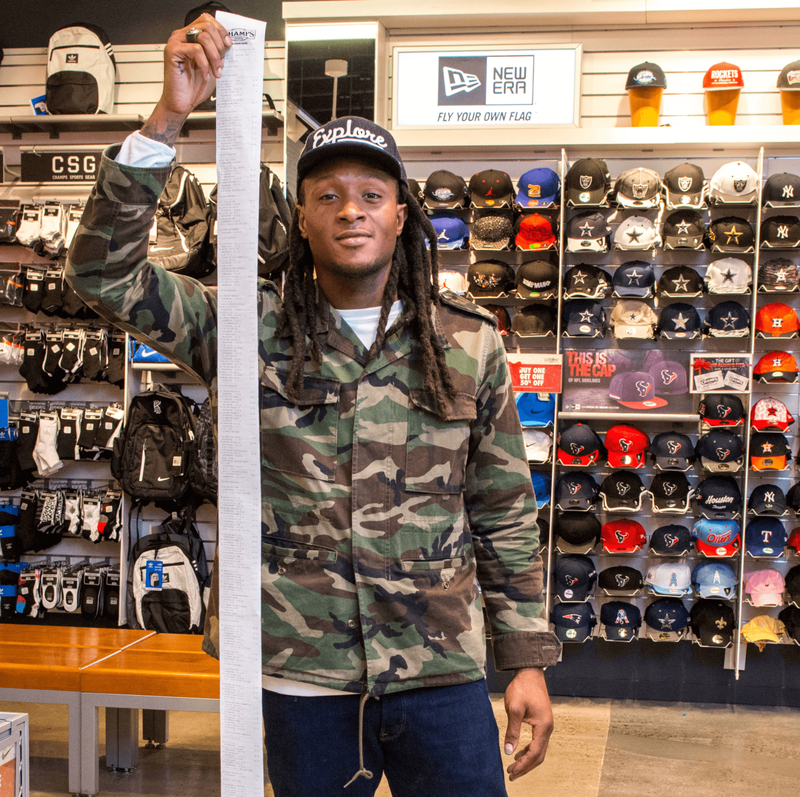 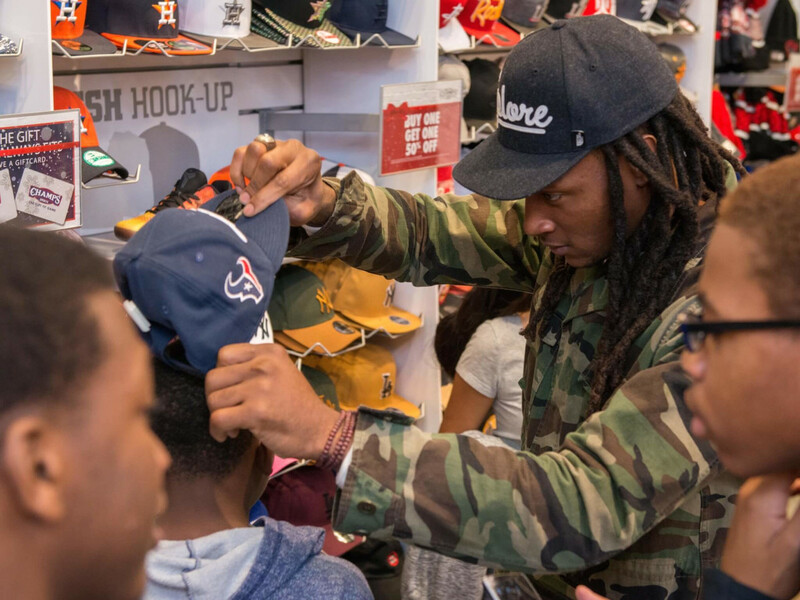 He was wearing a camouflage jacket instead of a red suit, but DeAndre Hopkins still looked like Santa to a group of 17 underprivileged kids from Houston Children's Charity by treating them to a holiday shopping spree. 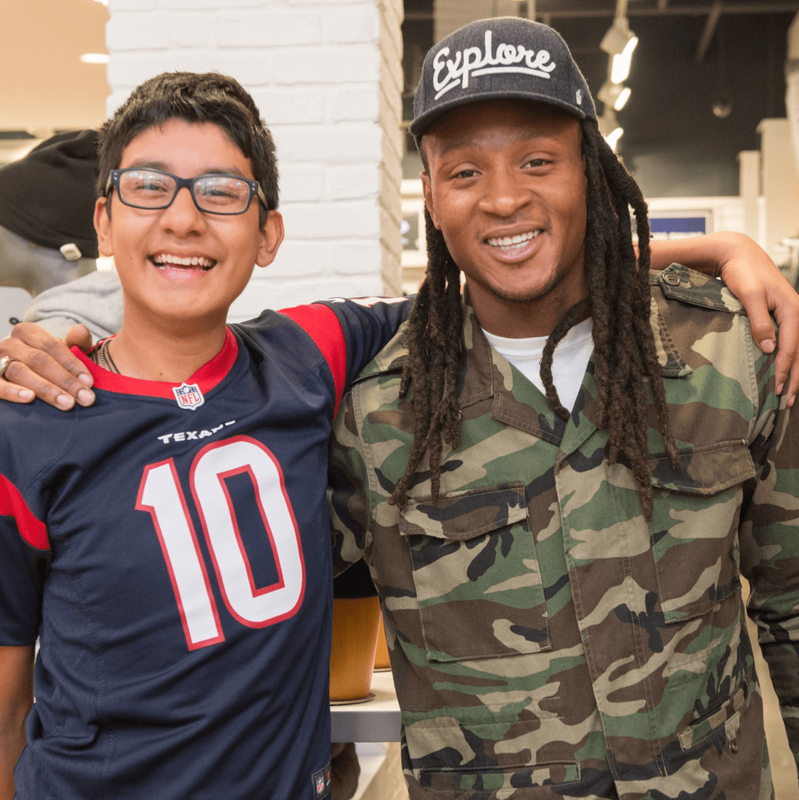 The Texans wide receiver surprised four Houston families by footing the bill at Champs Sports at Memorial City Mall. 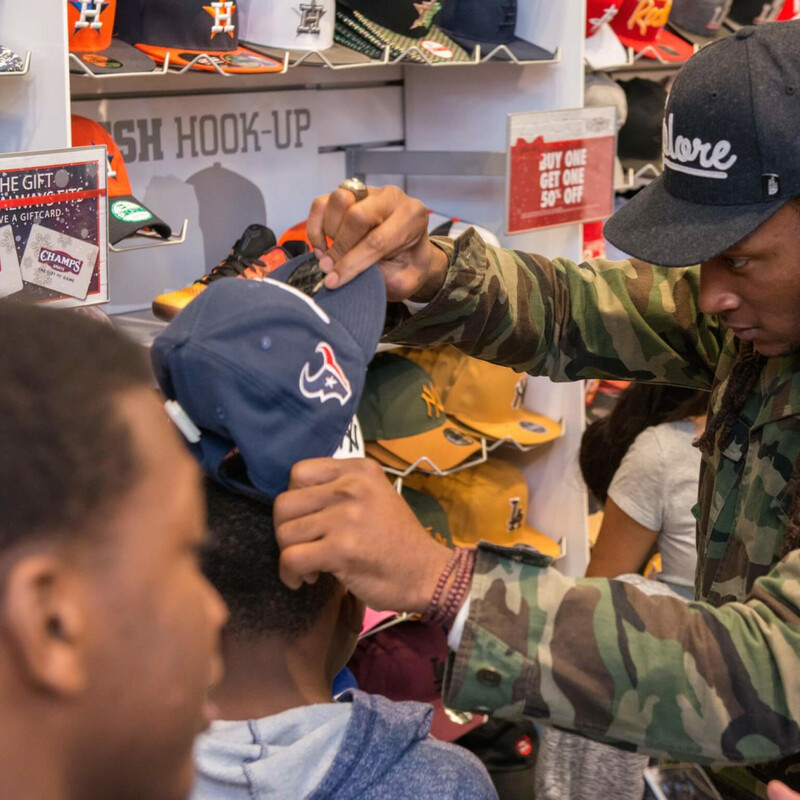 The youngers, ages 12 – 18, walked away with a new pair of shoes, a complete outfit and accessories such as hats, socks, and backpacks. 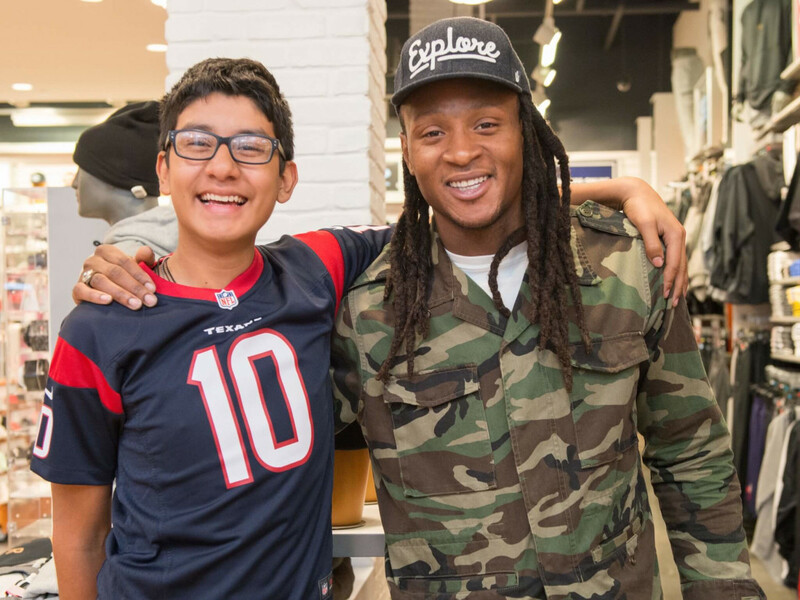 Many of them chose Houston Texans gear in tribute to Hopkins, who posed for photos and signed autographs with the families. 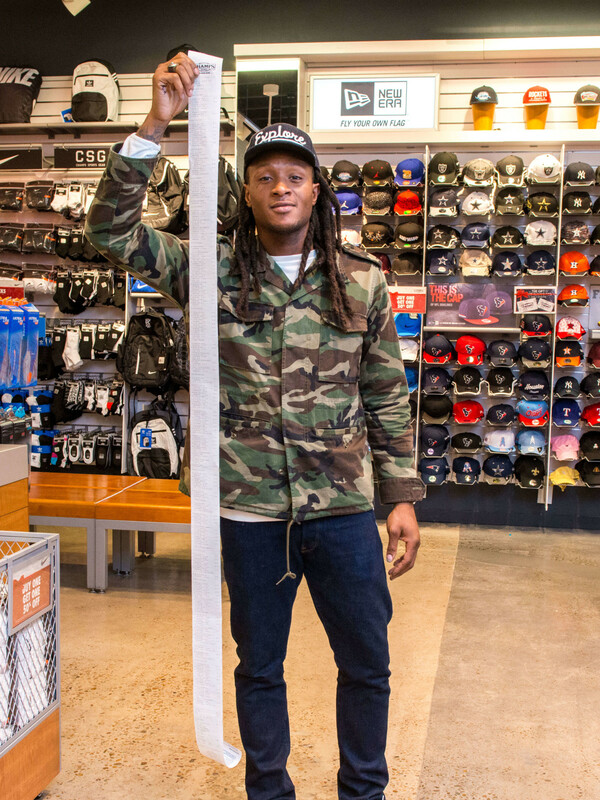 The grand total for his shopping spree was $6,927. 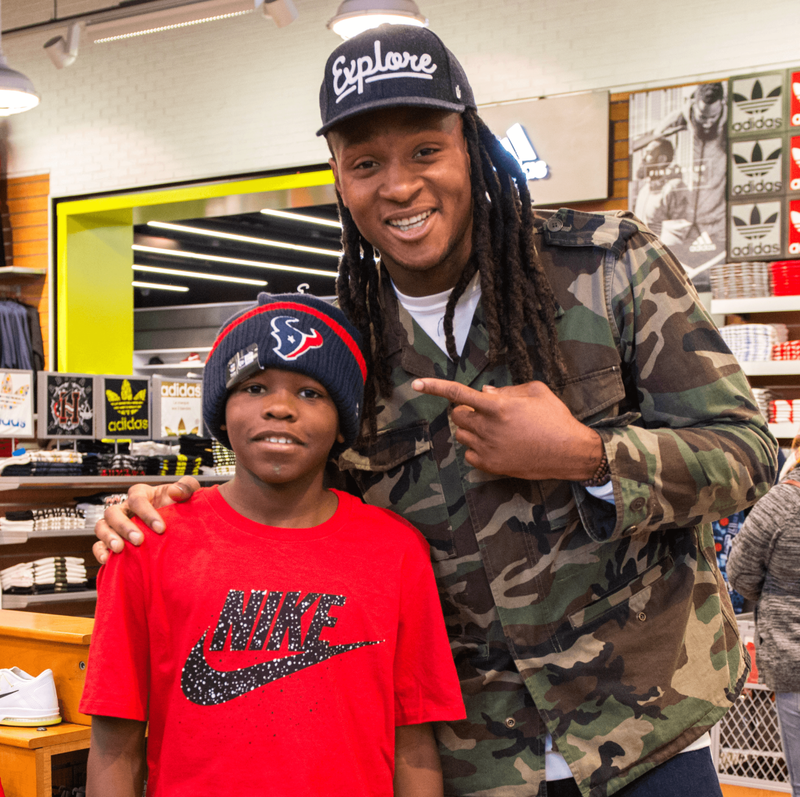 But his next gift could be priceless. 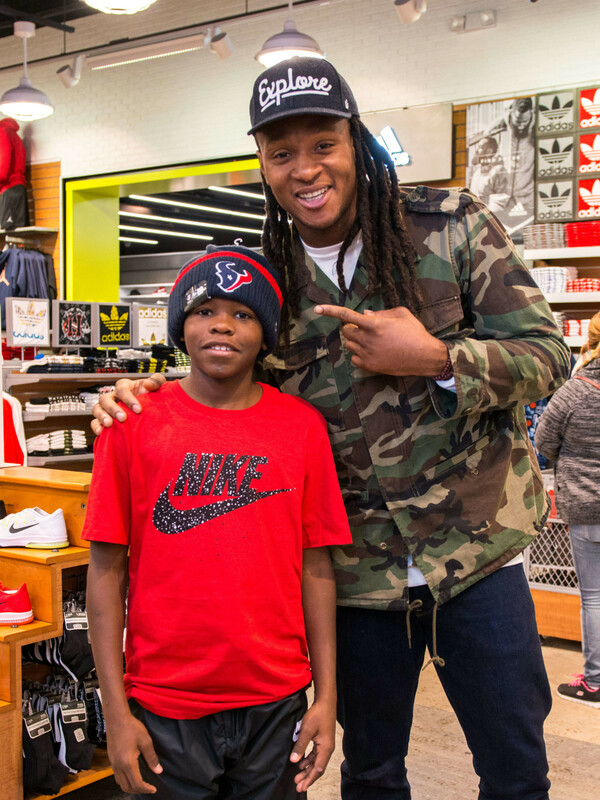 Hopefully it's a Texans victory over Cincinnati Bengals at NRG Stadium on Christmas Eve night.